Every watch produced by our manufactory is special to us. That is why we devote lots of time to every model before it finds its way to the new owner. The design phase is the first one in the long process of creating the watch. While designing the case we focus both on its esthetic and practical qualities. We select an adequate shape and straps. We use only high-grade surgical stainless steel and scratch resistant sapphire glass. Depending on the type of the chronometer and its caliber the surface of a dial is covered with paint or decorated with Guilloche pattern or subtle waves. Then the nickel plated markers are either embedded into the surface or we use the pad printing method. In order to adjust the position of the hands a water resistant crown is required. We always select high-grade steel models equipped with two gaskets. The outer surface of the dial is additionally decorated with the logo of the manufactory. 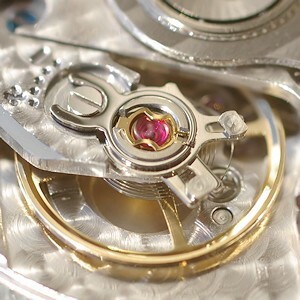 The process of designing and production of the watch takes many months. The chronometer goes through the quality control and the process of adjustment in different positions. In the meantime we test the water resistance of each piece.